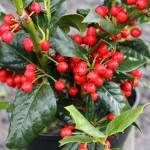 A broadly pyramidal evergreen shrub with abundant red berries. The foliage is a dark, glossy green. It is a hybrid of I. aquifolium and I. cornuta. It prefers full sun and well-drained, slightly acid soil. 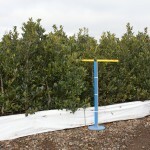 'Nellie' has better heat tolerance than many of the hollies. 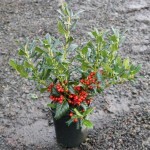 It can be used as a hedge, in the border, or as a small tree.